What is a complying super fund and how do I check? A superannuation fund is considered to be complying if it meets specific requirements and obligations outlined in the Superannuation Industry (Supervision) Act 1993. Employer, it is your responsibility to check whether the fund an employee has nominated under choice is a complying super fund, before remitting any contributions. One way to check this is by visiting the Super Fund Lookup. If your employee submits a "self-managed" fund (or Do-It-Yourself fund) it is the employees responsibility to submit a copy of documentation from the ATO confirming the fund is regulated. When a new employee starts with your company there are three steps you should follow to ensure your superannuation guarantee obligations are met. In the first step you should identify any new employees that are eligible for super payments. If you do not have any eligible employees there is nothing you need to do further. However, if you have new employees who are eligible to select their own super fund you need to follow through with providing them with the standard choice form. not employed under any state award or industrial agreement (including contractors paid principally for their labour). In the second step you should provide eligible employees with a Standard Choice Form. These are obtainable from the link provided above. Once your employee has nominated his/her choice of fund you then need to take the third step and act on your emploee's choice. You have two months from the date of notification to pay your employee's contributions to her/his choice of fund. More information on these three steps is available from the Australian Taxation Office website. So you have a problem relating to making super payments for and on behalf of your employees, and you need some advice. If you have any queries to your super contribution obligations, or do not understand how contributions should be calculated, or what penalties are for failing to pay contributions by required dates, you can obtain further information from the Australian Taxation Office website. For a first port of call you should go to www.ato.gov.au/super and look under the section for "Employers Superannuation Essentials". The advice is divided into two sections: Basic Topics and Advanced Topics. You will find a wide range of articles in these two sections detailing just about everything an employer needs to know. You can also find a large number of fact sheets and publications on the ATO website as well some of which contains information relevant to employers and other publications that can be supplied to your employees. What if an employee wants advice? What if an employee wants some superannuation advice? Can I give that person any pointers on super issues? Quite frankly, no, you cannot give any employee advice on superannuation unless of course your company holds a Financial Services Licence. If an employee does need superannuation advice point her/him to an adviser from the super fund to which he belongs, or get her/him to seek advice from a professional in the Industry. One of the best sources of advice is for your employee to contact their industry super fund. But no, you must not give any super advice without the proper credentials. So if your employee wants to salary sacrifice, or needs to know how to choose a fund, or any other advice that may be needed, this advice must not come from you. What if an employee has a Do-it-Yourself fund? So an employee of yours has given you details of her own "Do-it-Yourself" fund and you want to know whether this is OK.
Rather than choose a retail fund to receive and administer super contributions, some employees have chosen the option of setting up their own self-managed fund. Provided that the employee has established the DIY fund properly it is quite all right to pay super contributions into such a fund. If you as an employer registers with Superconnect you will find it quite easy to make payments to any DIY fund as Superconnect specializes in working with DIY funds. You must however ensure that you obtain the correct details in order to make payments to such a fund. When you register with Superconnect you can obtain a list of information you will need when making payments to the DIY fund. If an employee is considering establishing a DIY fund they need to know that running such a fund is not for the feint hearted. Running a fund requires that the employee needs to comply with legal and tax requirements, as well as making investment decisions and fund administration. Generally a lawyer or tax accountant can direct your employee to the right channels to establish a DIY fund. Are there alternative accounts to super? There are no alternative accounts to super while an eligible employee works for you. You must pay the SG contribution into either the employee's choice of fund or into a default fund setup by you. 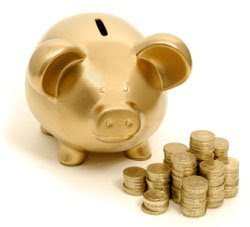 However, if you lose track of a former employee and still have funds that should have been paid into the employee's choice of super fund but no longer have the details of where the money should have been paid you can transfer the employee's accumulated super into an eligible rollover fund (ERF). ERFs typically pay lower earnings rates than super funds and usually do not have other features, such as insurance cover. Some provide minimal investment choices. ERFs offer some protection against benefits being eroded by administration fees, but fees may still be charged if the balance is over $1,000. If you chose an ERF in which to put your former employee's super, your fund trustee will be required to formally review the nominated ERF at least every three years. ERFs charge employers nothing but do charge fund members whose money they hold. What do I do about super for former employees? If you fail to pay employee super contributions, you may incur a penalty. The penalty is called the Superannuation Guarantee Charge. 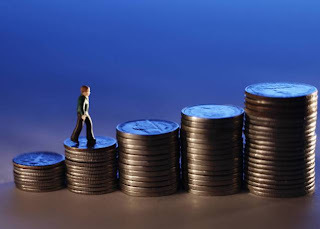 The Superannuation Guarantee Charge penalty is incurred if you fail to pay the 9% of ordinary time earnings into an eligible employee's chosen super fund, or, alternatively, into the default fund, or fail to make all your payments by the quarterly cut-off dates each year. If you incur the penalty you will have to pay the amount of unpaid super based on salary and wages, plus interest at the rate of 10% a year and a $20 per employee per quarter administration fee to the Australia Taxation Office. You will not be able to claim this charge as a tax deduction. One way you can ensure that you will never incur the SG Charge is to use the Superconnect Clearing House. Through using the Superconnect Clearing House you can ensure timely payments, a sure method of the funds arriving at the correct super fund, and an audit trail showing payments for each employee. To avoid incurring the Superannuation Guarantee Charge when using the Superconnect Clearing House you should make your payments 10 days prior to the closing date. This will give enough time for payments to be received by the fund(s) of choice and will ensure arrival before the due date. By law an employer needs to pay the Superannuation Guarantee on behalf of employees on all "ordinary time earnings". From July 2008 there will be only one effective definition of "ordinary time earnings", being the legislative definition. Generally it is defined as the amount an employee earns for ordinary hours of work. It may include over-award payments, shift or casual loadings or commissions, some allowances and paid leave, but usually excludes irregular overtime and non-performance bonuses. Also regularly excluded are fully expended expense allowances such as car allowances, reimbursed expenses, benefits subject to fringe benefits tax, maternity leave payments, annual leave loading, accrued annual leave, long service leave and sick leave, and payments in lieu of notice. Employees face significant consequences if their super funds do not have their TFNs. For example, their super may be taxed an additional 31.5% and their super fund will not be able to accept any personal contributions. This means eligible employees could miss out on receiving a government super co-contribution payment. From 1st July 2007 the Australian Taxation Office has been checking that employers pass on employee TFNs to the relevant super fund. It is an offence not to provide an employee's TFN to their super fund within the required timeframe. For individuals, the maximum penalty that can be imposed is about $1,100. However, the maximum penalty payable by a body corporate is currently $5,500. The maximum penalty may apply for each offence, so if you fail to report five TFNs to the relevant super funds, five penalties can apply. To iron out some of these problems you can gain additional help by registering and using the Superconnect Clearing House. Do I have to provide an employee's TFN to their super fund? This is an important question: do you need to supply an employee's Tax File Number (TFN) to the employee's chosen super fund? As of July 1, 2007, when your employee fills out a TFN declaration form, you must pass it on to the super fund. If you do not pass on your employee's TFN you will be guilty of an offence and liable to pay a penalty. Further, your employee may have to pay extra tax on the contributions made to the super fund, and more, your employee may miss out on the Federal Government's super co-contribution payments. If you make employer contributions for an employee, you need to give the fund the TFN within 14 days of receiving the employee's TFN declaration form. But if you do not make a contribution for the employee for that period, you may pass the TFN on when you make a contribution. What must I tell my employees about superannuation? As you would already know the requirement to give employees a quarterly statement of how much super you paid into their chosen fund was discontinued in 2005. However, you are required to tell your employees the default fund into which their super contributions will be paid within 28 days of them starting work with you. You are also required to add the name of the fund and the amount of super contribution on the employee's payslip if you are covered by the Workplace Relations Act. These laws, relating to super contributions, are administered by the Department of Employment and Workplace Relations. You can obtain further information about these laws by going to www.dewr.gov.au. When do I have to pay the SG contributions? Generally you are required to pay SG contributions quarterly. Employers who fail to make the required payment by the due date will be liable to pay the SG Charge to the ATO. This charge includes the unpaid super amounts (based on salary and wages and ordinary time earnings) plus interest and an administrative fee. You have, generally, four weeks from the end of each quarter to make payments. The easiest way to make sure your payments are made on time and are credited to the respective super funds by the due date is to use the Superconnect Clearing House. Contributions are expedited electronically to the vast majority of funds to ensure your compliance is ensured. Register today if you need a more sure method of making SG contributions. What if my employee is not a member of the fund that they nominate? Quite frankly, this is not your problem as an employer. It is up to the employee to find out how to join the fund that they nominate and to obtain product disclosure statements, information and application forms for that fund. You need to tell your employee that she/he needs to have joined a fund of their choice by the next due date for super payments to be made, otherwise their super contributions will be paid into the default fund chosen by you. It is important to remember that as an employer you are not permitted to provide any research, comparisons, or product disclosure statements for any other fund other than your default fund, and you must not try to influence your employee in any way or provide them with financial advice when choosing a super fund. If you pay super contributions into a super fund that your employee has nominated but not joined, those super contributions may be automatically rejected. Your employee must be a member of a fund they nominate. In fact, if you use the Superconnect Clearing House, the system will not allow you to pay a super contribution to a fund without the member number. This means that you will not be allowed to make the mistake. As an employer you must choose an employer-nominated fund for employees who do not exercise their right to choose a super fund. Through the introduction of Choice of Fund Legislation most employees are now eligible to choose their own super fund. However, most employees contribute to their employer-nominated fund rather than selecting another fund. This is mostly because most employees are not focussed on building their retirement nest egg. Employers, though, need to select a fund wisely so that their employees who contribute to that fund are well served. In choosing a default fund, employers must consider whether the fund meets prudential regulatory requirements, has effective procedures in place for following up arrears in payments, has a representative trustee structure, and complies with relevant legislation. Regardless of what fund you choose for the default fund you can serve your employees well by making all payments to that fund through Superconnect. At Superconect we have electronic connection with hundreds of funds and can electronically make the payments and send advice slips to the relevant fund through the Superconnect Clearing House. Most workers are entitled to choose the super fund they want to join. Sometimes your employees don't make an active choice. In most cases, you are then obliged to put their super contributions into a "default" fund, which is the fund you have identified as your employer-nominated fund. However, since July 2005, most Australian employees have been able to choose the super fund their Superannuation Guarantee contributions are paid into. Choice of fund is different from investment choice. With investment choice the fund member chooses from a range of different investment portfolios and risk profiles within a fund. Choice of fund has given employees the opportunity to choose a fund that best suits their needs while accumulating benefits for their retirement, as well as life, and disability insurance options that fit within their needs. Under Choice of Fund rules, you, the employer, are obliged to provide new employees with a "Standard Choice Form" within 28 days of starting employment. You can get a copy of the "Standard Choice Form" by downloading it from the Australian Taxation Office site. There is much more we can say about super fund choice that we will continue this in the next post tomorrow. Of course you can find more about this topic on the on the ASIC Site.